Bonus offers from online casinos may seem very attractive when surfing through a gambling portal and viewing all the casino names lined up next to unbelievable promotional offers but those attractive bonus offers can also be traps designed to tie your deposited money into a play through requirements scheme that is nearly impossible to meet. Trick or treat, that casino bonus sure is neat, but the question remains, with such stringent play-through requirements how can it be beat It promises ten thousand dollars with only a fifty dollar investment so it is no leap of the imagination to think that this casino must be rich to be able to offer such a huge bonus. What they don’t tell you is that in order to be able to withdraw any money from your account you must first provide proof you have played their slot machine game while fighting off a crocodile with a salad fork on the twenty-ninth of February while slowly tweezing your hairs out of your arms and singing your country’s national anthem. If you think that sounds ridiculously impossible to meet I can promise you that there’d be more chance of meeting those requirements to get paid than you will have with some of the more unscrupulous online casinos. 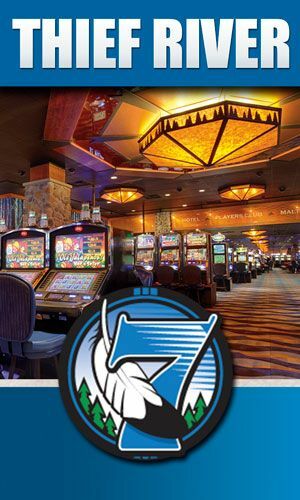 The afore mentioned will keep moving the line until the player gets disgusted and either gives up or in their frustration send an email which has abusive language in it and that is a legitimate reason for the casino to close the account, keep the money and nobody will question the matter any further than seeing the abusive language. As much a player advocate as I am, even this writer would cut losses as soon as I saw any foul or threatening language in the email correspondence between the player and the casino (unless the casino was the one using it) simply for the same reason a lawyer won’t take a case based on percentage of the settlement unless they think they can win the case. There’s just no sense wasting time on something that cannot be won. Casino bonus offers are not all bad of course. However current times demand that the player be sure to read all the fine print before accepting a bonus because there are some online casinos that are otherwise completely reputable are for all technical purposes staying within the boundaries of the terms they have preset for accepting the bonus but they are still cheating the player because the requirements are all but impossible to satisfy. Technically the casino has done nothing wrong because after all it was not a fact that was hidden. It quickly explains why the casino can offer such an unbelievably attractive promotion however. A good rule of thumb is thirty times the deposit and bonus offer if the player is engaging the slot machines and that number doubles or more once you move from slots to the other games offered inside the casino. Examples taken from one online casino of reputable history is that the bonus offer has the thirty times play through on the slot machines but Table Poker, Casino War and Sic Bo count only fifty percent towards meeting the requirements and Video Poker, Blackjack, Craps and Baccarat only count ten percent towards satisfying the requirements. Basically you can expect for the play through requirements to reflect the odds of winning on that specific game or group of games which will be specifically noted in the casino’s terms for play through requirements for that specific bonus offer. It quickly becomes evident to anyone who has tried to follow the last short paragraph just how confusing casino bonus offers can be and also just as obvious is the potential for abusing these offers by both sides of the coin. Players that are legitimate will be more likely to abuse a bonus offer out of ignorance or confusion but when a casino abuses the terms of a bonus offer by making them so unrealistically achievable it really becomes a caveat emptor world of online casino bonuses. So look before you leap when you consider tying your money up in some kind of bonus scheme where the play through requirements demand you dance with a dinosaur or some other completely impossible to satisfy term or condition. Previous Post: Cards,Luck,Fun and Much More!!! !